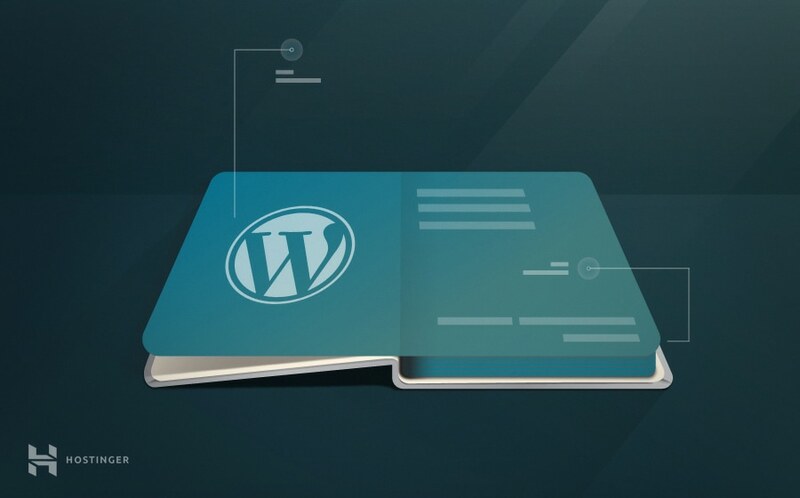 With more than 74 million active websites build in WordPress, it’s safe to say that this is the biggest and the most popular CMS platform. The best part is it comes with countless free themes and plug-ins. 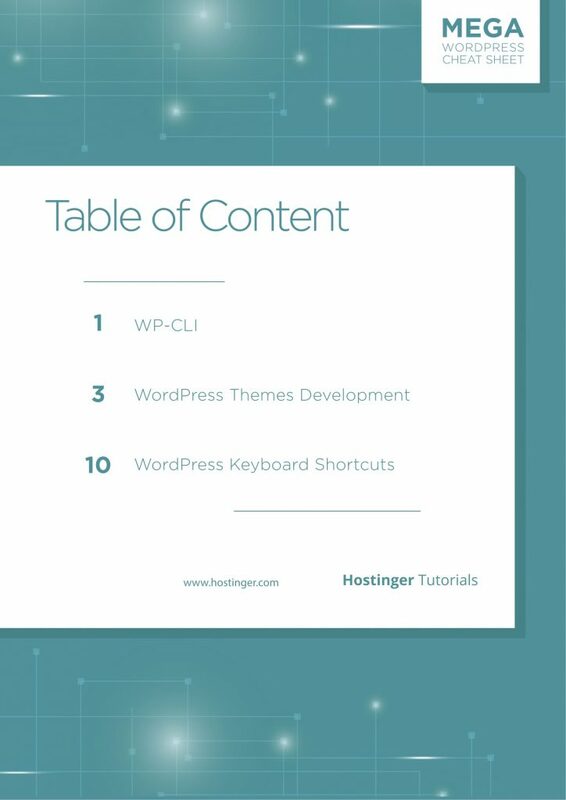 However, if you are a WordPress developer (or want to become one), there can be times when you may have to tackle with some difficult code while creating WordPress websites. 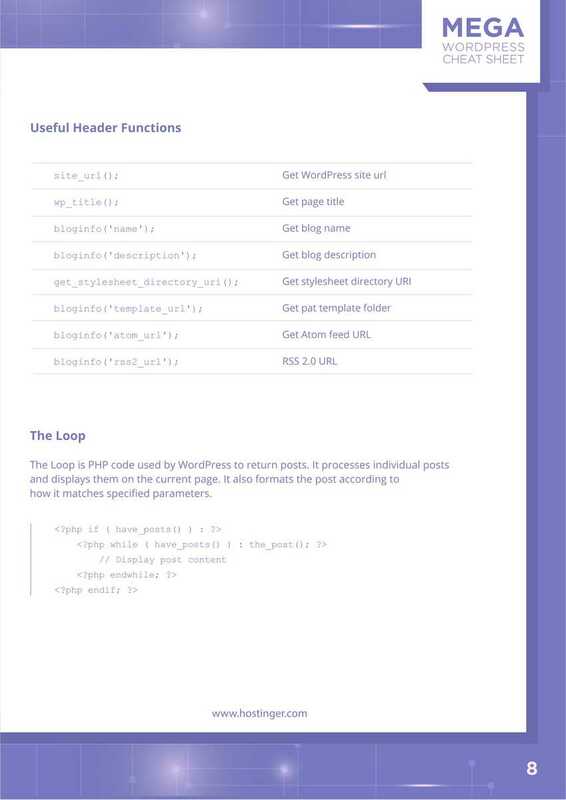 Having good knowledge of WordPress tags and functions can make the life of any WP developer lot easier. Functions and tags for WordPress can be quite confusing considering there are so many of them. Thus, to make things as easy as possible we’ve put together a nice, comprehensive, and thorough WordPress cheat sheet containing all the most common and basic WordPress tags, functions, template structure, the most used WP-CLI commands and even WordPress keyboard shortcuts. WP-CLI cheat sheet is an incredibly handy resource for those who are just getting started with command line. 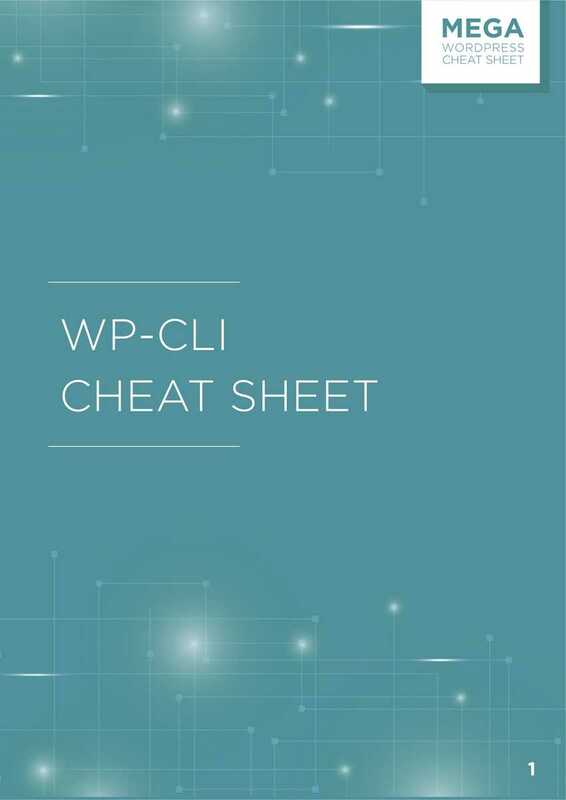 Here you will find the most used WP-CLI commands. There’s just so much to remember while working with WordPress themes. 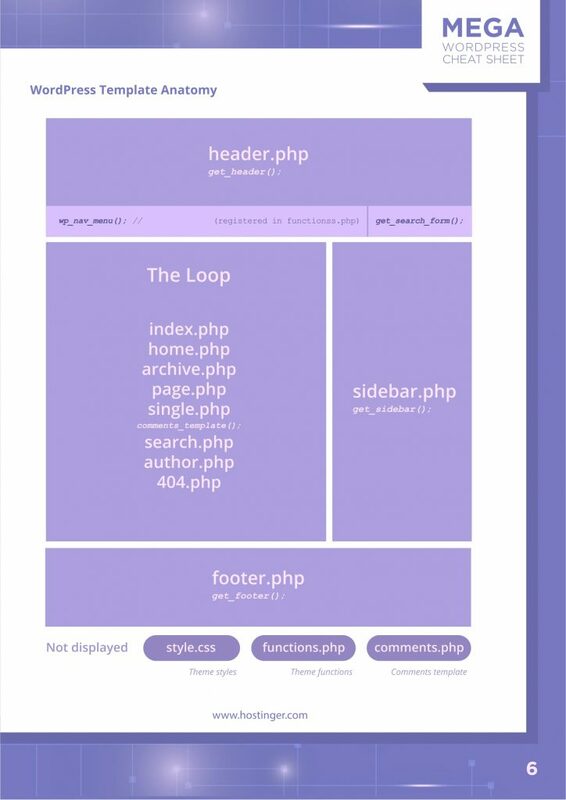 Right from basic template file names and structure to countless functions and WordPress loop; it’s almost impossible to remember so many PHP tags much less defining a new theme. 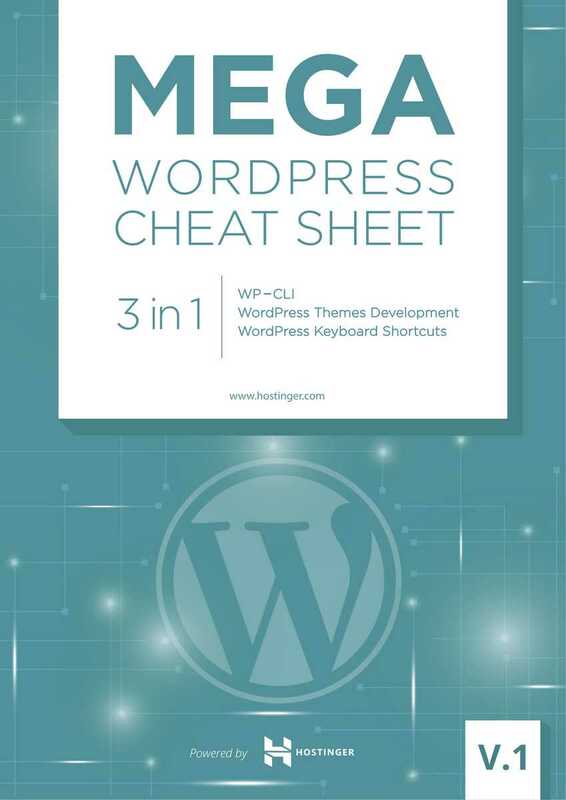 In this part of the cheat sheet we have put tags and functions may not always remember while working with WordPress themes. 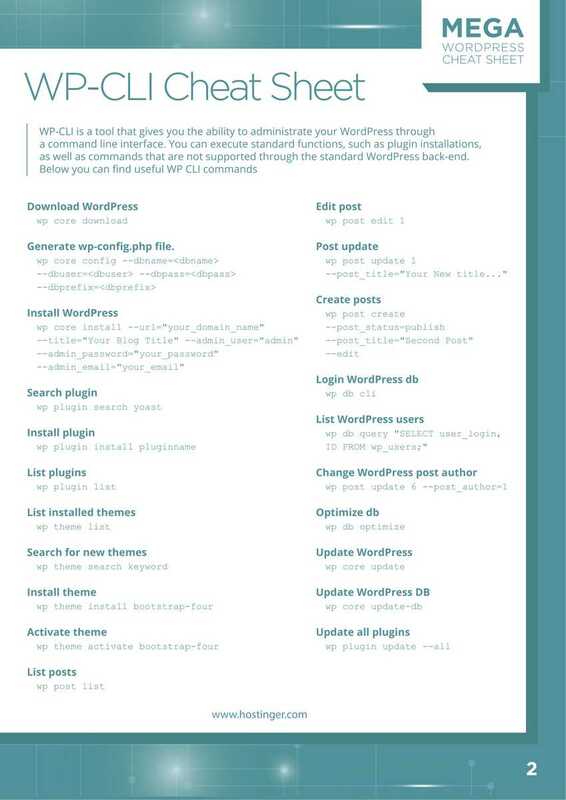 Anything a WordPress blogger can do to save his/her time is always good thing. Speaking of which, keyboard shortcuts come handy in doing just that. This bonus sheet contains WordPress keyword shortcuts so bloggers are saved from navigating multiple steps while using WordPress.